No wires need to be cut. I piggy backed my wires into the connectors. All doors lock in the Ready mode. 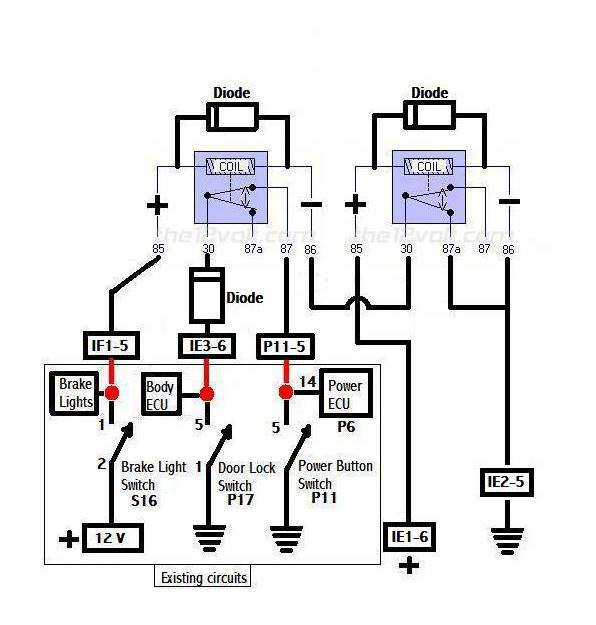 Locks ONLY from Off mode. Will not lock from IGN or ACC mode. Locks before the car moves. All lock features work normally. Total cost for parts $ 34.64, with parts left over for the next project. 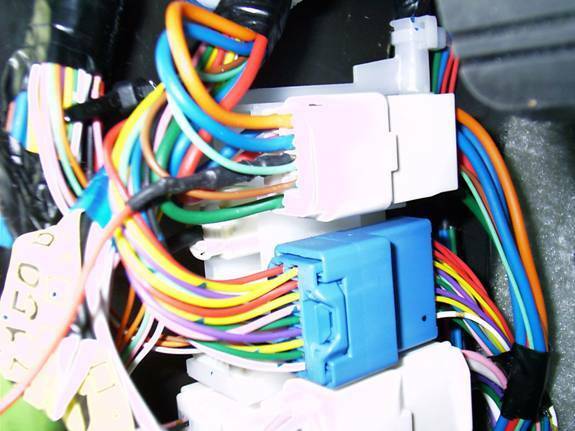 Connections are made to the system without cutting or splicing wires. 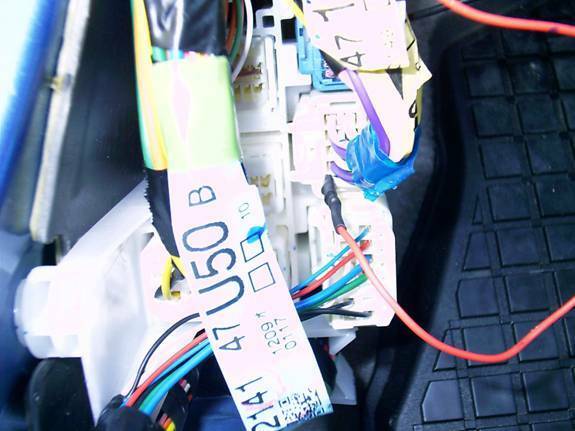 If you want to splice to the wires, that’s your choice. I attached my wires so all the wires can be unplugged leaving the wiring in factory condition. 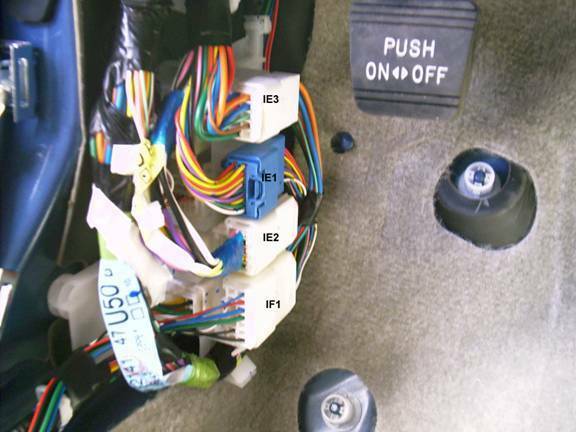 ** Remove the Instrument Panel to access the Push Button Switch. 1. Remove the far left Instrument Panel register. Put your fingers on the top edge, above the vent, and pull & pop top toward you. It really does pop out. Then slowly pop the lower connectors. 2. 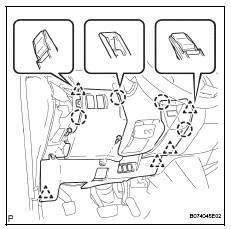 Remove the lower panel, below the steering wheel. First remove 2 screws. 1st screw is located at the bottom of the register area. 2nd screw is located left of the steering wheel above the hood release. 3. 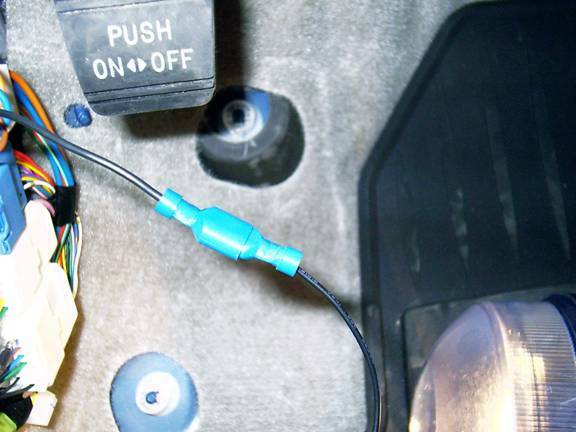 Detach the hood cable. (Optional) If you let the lower panel hang, then forget this step. The lower panel must be removed to get the upper panel off. 4. Pull and pop the Upper panel above the steering wheel. On the back of this panel is the Push Button Start Switch P-11. Pin 5-Black Connect the first wire here. 6. Cut a piece of wire long enough to go from the Push button switch to the side cowl trim board. 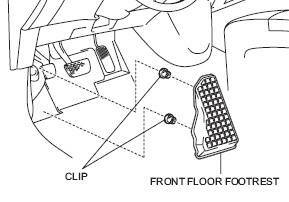 The side cowl trim board is located left of the drivers side footrest. 7. 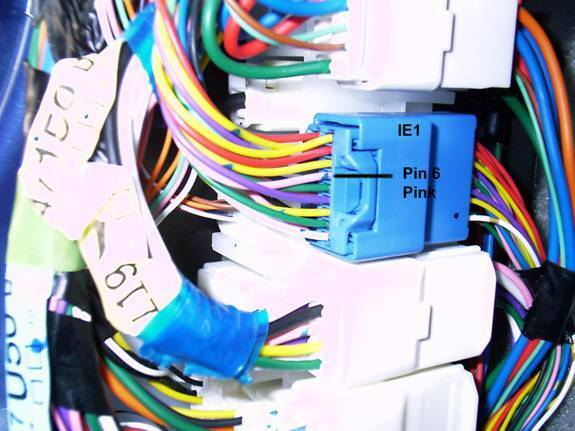 Attach a connector on the wire so you can push it in the same hole with Pin 5 (Black Wire). 8. Secure the wires together to prevent the wire from being pulled out of the pin hole. 9. 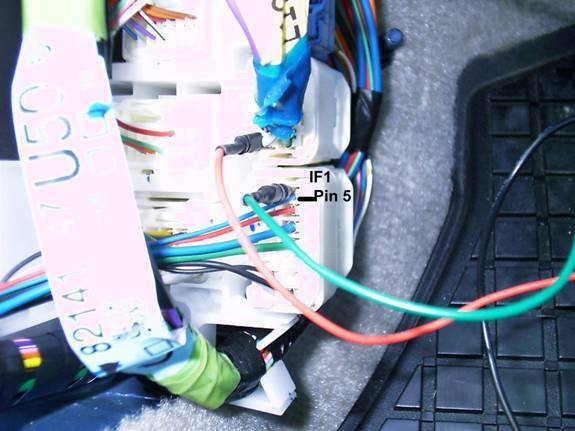 Route the other end of the wire to the side cowl trim board located left of the driver’s side footrest. ** Remove the Door Scuff Plate and Cowl Side Trim Board. 1. Remove the driver’s side door scuff plate. 2. Start at the back inside edge and pulled the lower edge inward toward the seat, and then lifted up. It slowly pops up. The front end has a tab that fits into a hole of the cowl side trim panel where they overlap. 4. Remove the cowl side trim board. Pop and pull. The door edge side pulls toward you. The rear claw is another story. 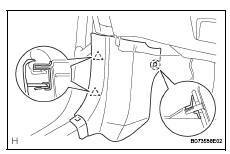 The claw fastener slides over a threaded post at the back edge near the footrest. I’m still not sure how to remove it without breaking the small tab that presses against the post. Thank God for “Super Glue”. 5. All the connectors are right behind the cowl side trim board. ** Attach the wires to the connectors. 4. 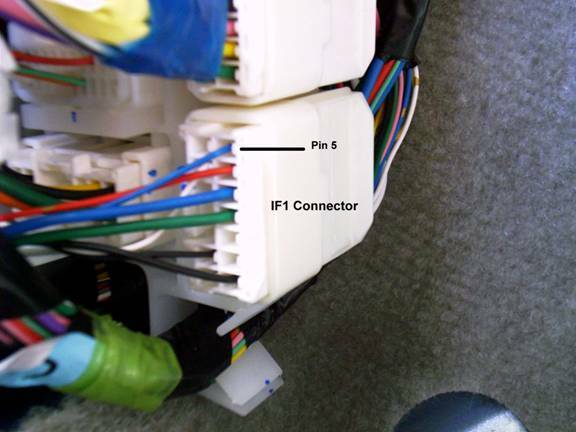 The wires attach to the connector pins as shown. Each wire has a connector attached to fit the pin hole it connects with. 5. 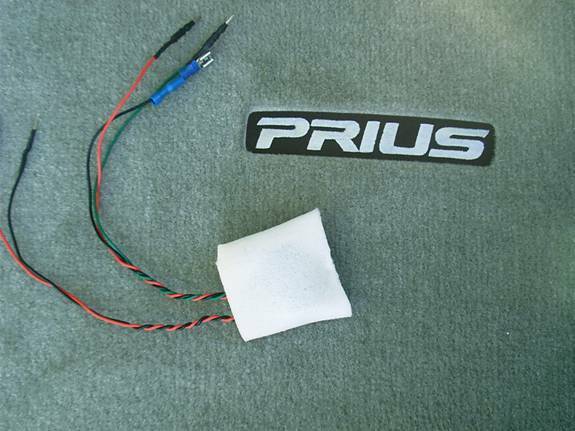 Insert the circuit board into a pocket made from a thin sheet of foam. 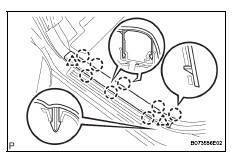 This will stop possible noise from road vibrations. 6. Attached the wires starting at the top connector to the bottom connector. 7. 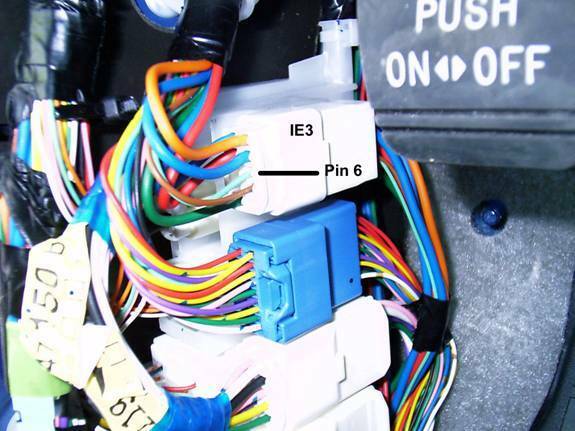 Attach the 2nd wire from the left on the circuit board to IE3-Pin 6. Insert the connector into the left side of the wire hole. 8. Attach the 4th wire from the left on the circuit board to IE1-Pin 6. It’s the only blue connector. 9. 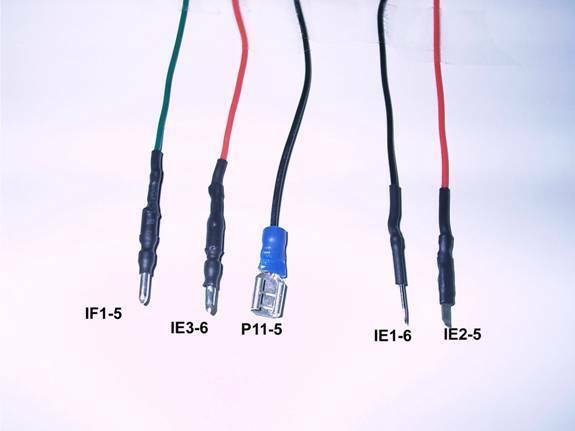 Attach the 5th wire from the left on the circuit board to IE2-Pin 5. 10. 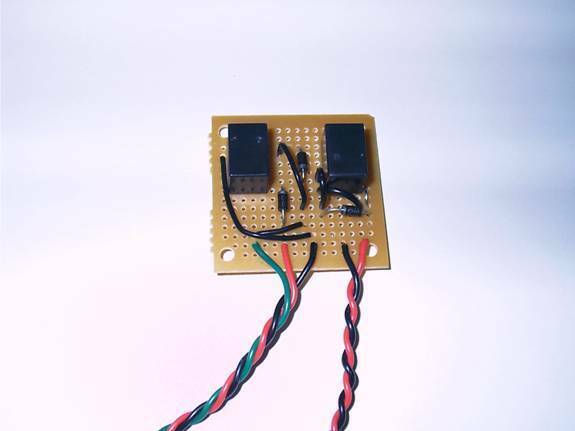 Attach the 1st wire from the left on the circuit board to IF1- Pin 5. 11. 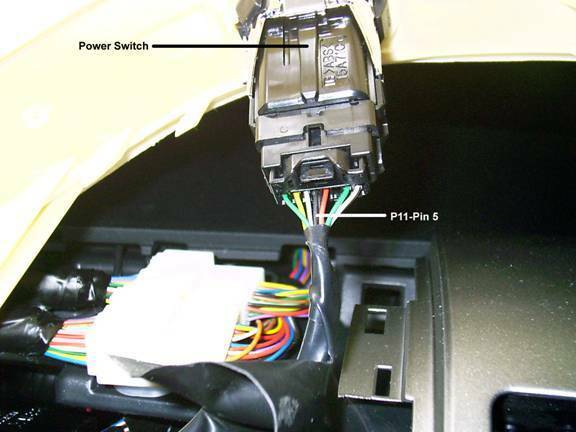 Attach the 3rd wire from the left on the circuit board to the wire from the Power Switch P11-Pin 5. 12. Check the system out. 13. 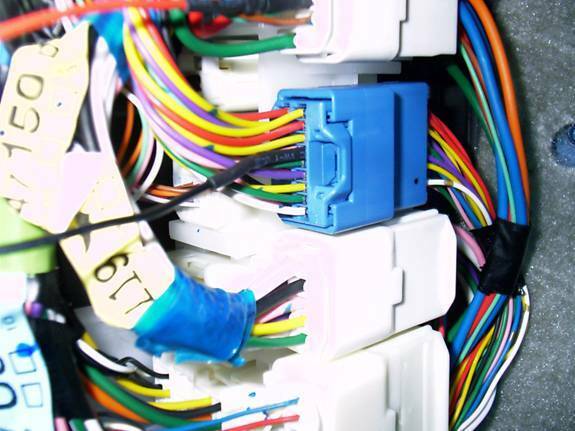 Secure the wires and bundle the relay board behind the wiring harness as shown. 14. 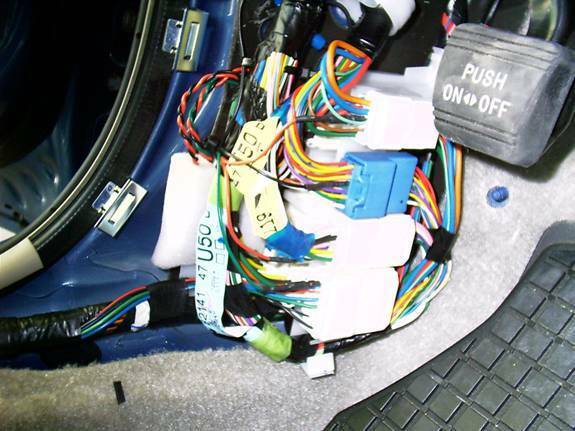 The Foam pocket fits neatly behind the wiring harness. Plastic is on both side to insulate it, and the foam keeps it snug and rattle free. 15. Install the cowl side trim board, floor footrest if removed, and door scuff plate. You now have automatic door locking when you start your new Prius.